INDUSTRY.co.id - Tangerang - The Indonesian Association of Automotive Industries (Gaikindo) stated its support for the policy of developing the electrification vehicle industry that was proclaimed by the government even though it needs to be done gradually. "For the initial stage, the concept of hybrid cars should be developed, given the need for additional infrastructure," Gaikindo Chairman Yohannes Nangoi said in Tangerang on Thursday (08/09/2018). Meanwhile, according to Nangoi, the Plug-in Hybrid Electric Vehicle (PHEV) product takes a long time. In addition, currently many brand holder agents (APM) have marketed hybrid products. "In line with the implementation of this policy, consumers will determine the electrification car products they will choose. The infrastructure must be prepared to support the presence of the electrified vehicle product, when the price of fuel oil is high and infrastructure is adequate, the community will definitely switch to using the product that, "he continued. Meanwhile, Director General of ILMATE Ministry of Industry Harjanto said, for the short term it tends to develop PHEV technology. Although the infrastructure has not been built, PHEV is more energy efficient and environmentally friendly. "The development of electrified vehicles does need stages. With regard to efficiency, this policy cannot be separated from the concept of energy security. 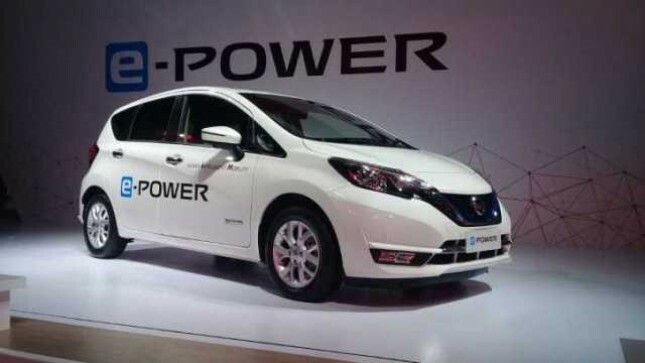 We want full efficiency, so for the initial stage it tends to be developed into Hybrid Plug-In Electriv Vehicle," he said. Harjanto added, besides being able to save energy up to 82%, PHEV is also an environmentally friendly vehicle because it can reduce significant CO 2 levels as the government prepares its infrastructure gradually. "In addition to looking at the market conditions, the market is also not too big or still interested, so the supporting infrastructure is needed, both for the industry and for its users," said Harjanto.